Several major announcements were made this week by the New Zealand Government directly impacting on the forestry industry. 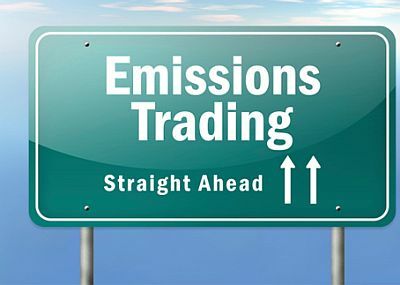 A six-week consultation period has just been opened for comment on how the country’s Emissions Trading Scheme should be operating and can be improved. 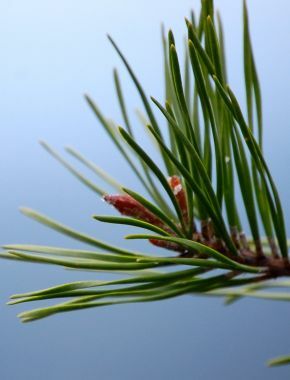 The discussion documents include one that’s been devoted entirely to forestry. The government is hinting it could lift the $25 a tonne upper limit on the price of a New Zealand Unit along with introducing a cap on the number of ETS units. One of the objectives is to lift barriers to forest owners who are participating in the scheme, encouraging investment in new forests and of course, discouraging deforestation. 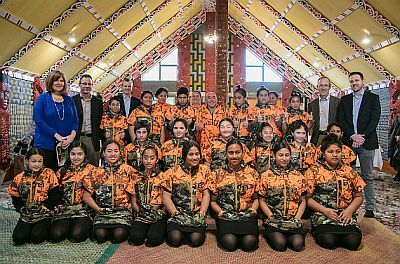 Cabinet on Tuesday also approved a NZ$240 million boost to the Government’s One Billion Trees programme. They’re committing to planting some 60 million trees with about NZ$118 million set aside for grants and a further NZ$120 million for partnership projects. This is on top of the NZ$245 million already committed to the ambitious planting programme. As part of the announcement, the Forestry Minister did point out that as many as two-thirds of the new plantings could though be native species and around half of the planting is expected to be on land that is unattractive to commercial forestry. We've included further details, links to key documents and commentary on these major announcements with extended coverage below. This week we’ve also included a story that’s been bubbling away over the last month or so. It was written by a local barrister specialising in local government and resource management law. Following the recent storm on the East Coast and resultant tsunami of slash and sediment that flowed into Tologa Bay, he’s suggesting that a “reset of our views” on commercial forestry practices is probably required. He touches on issues such as the public perception of the industry following the June event, the threat to the industry’s social license to operate and the future for the mono-cultural model on erosion prone land. In addition to questions though he puts forward a number of suggestions for future forest management and investment in the region. The story and the link to the full article have been supplied below. Finally, from Australia this week comes news of a consortium of forestry companies that will be investing in a AU$20 million log optimisation facility at Eden, NSW, findings from two FWPA funded reports that show that the forest industry contributed more than AU$7 billion to the Victorian economy last financial year and in Victoria, concerns are also being raised on plans by the University of Melbourne to relocate much of its rural campus at Creswick (the forestry school has been there for some 100 years) across to its Parkville campus in Melbourne. That’s it for this week. Enjoy this week’s read. 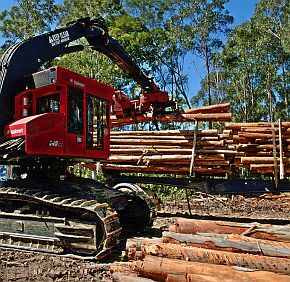 A consortium of forestry companies has begun the development of a high-tech optimisation facility aimed at maximising the value of resource handled on the Eden and East Gippsland regions. The new development at Edrom Road will be designed with the sustainable recurring 100-year resource profile in mind. The consortium partners, including Boral who will provide technical and operational support, see a transition to many new technology applications in the region. Forestry Corporation of NSW recently announced that the hub was the preferred proponent for a 15-year long-term contract for 25,000 m3 per year of quota hardwood log. The new hub will include a separate log optimising facility that can extract short logs from existing pulpwood streams to augment the volume of the quota sawlog component. Additionally, processes that will use the sawdust and residues from the sawmill and existing wood chipping operations are being investigated. It is expected that the combined roll out of the new investment will be in the order of AU$20 million dollars. This investment will result in increased job opportunities in a range of professions and trades. 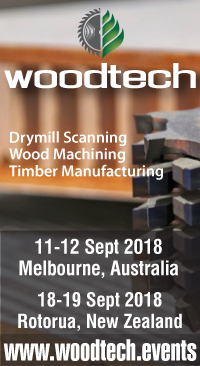 The consortium in their media release this week said that they would like to thank Forestry Corporation of NSW, the local member Andrew Constance, their workforce, contractors and the Eden region as a whole for providing the conditions and support needed for such a long-term venture. The productive forests of Eden will have a long-term future thanks to the range of renewable products they produce coupled with the benefit of strong road and port access to domestic and export markets. 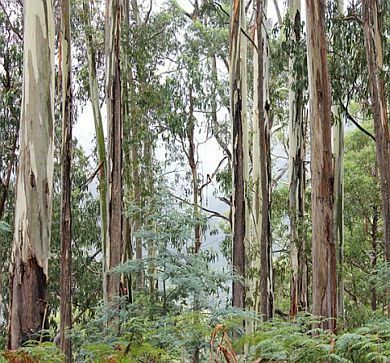 More than 100 years of history is effectively over according to a Creswick forestry graduate who fears the loss of the University of Melbourne’s rural campus. The university has released plans to relocate much of the forestry school to its Parkville campus due a decline in forestry enrolments in recent years. It hopes the move will lead to an increase in student numbers in the course, however Creswick locals and graduates fear for the future of the much-loved campus. More than 50 locals turned up at a public meeting recently to voice their concerns over the move. Meeting organiser and Creswick graduate Leon Holt said the turnout showed just how important the school was to the community. “These changes are effectively the end of over 100 years of history,” Mr Holt said. 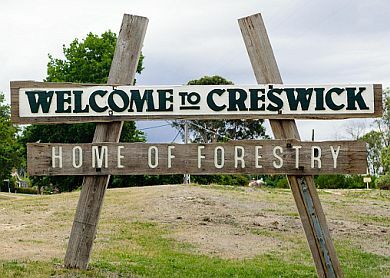 “Victoria’s foresters have been taught at Creswick since 1910, but if the University goes ahead with its plans, part of the town’s history will be lost”. Head of the School of Ecosystems and Forest Science Professor Ian Woodrow spoke on behalf of the University of Melbourne at the meeting. He told the meeting the university had been working on plans for over a year. “The new course will build on what we already offer. With more subjects based in Parkville, we expect student numbers to increase, and that’s a good outcome for forest science education,” Professor Woodrow said. The California Air National Guard‘s 195th Airlift Wing recently launched a drone reconnaissance mission to aid firefighting efforts in northern California. 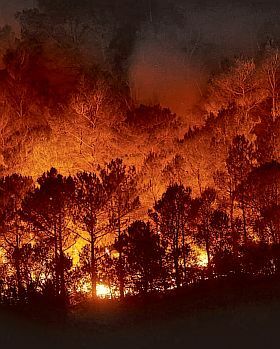 At least six people have been killed by the raging wildfires with more than 500 homes and buildings decimated. The unit deploys a MQ-9 Reaper drone to monitor and track the blaze. The drone flights collect data, imagery and telemetry which is transmitted to state firefighting officials. The Guard’s contributions are “seriously helping us,” said Capt. Robert DeCamp, CAL FIRE intelligence officer. “The knowledge they have and the information they provide are critical for us to fight the fire. They have equipment we don’t have, and that helps us tremendously.” Drone data helps track the fire’s movements, so authorities can position defences and notify the public if evacuations are necessary. “This is one fire that’s very unpredictable, but we can track it with the capabilities the Guard provides us,” DeCamp said. Over the past few years, drones have been embraced by both firefighting agencies and by officials seeking to mitigate wildfire damage. In March, New Hampshire-based Birdseyeview Aerobotics won a federal contract to provide 50 vertical-take-off-and-landing, fixed-wing drones to the U.S. Interior Department, an agency that oversees millions of acres of public land and administers several monuments. In 2016, Canadian drone company Aeromao partnered with the U.S. government to survey and map fire-damaged land. 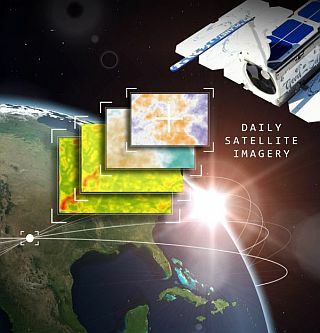 Using the $9,000 Talon – equipped with a Micasense Rededge multispectral imagery array – researchers are able to map acreage and survey damage to foliage. That data can then be used to re-introduce wildlife and domestic mammals to viable land after the fires. Kaingaroa Village rests in the heart of the Kaingaroa Forest just South of Rotorua in New Zealand’s central North Island. 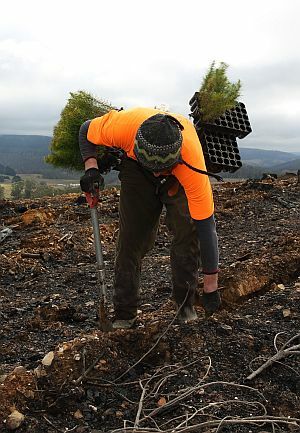 Once a thriving forestry town of almost 4000, changes to ownership of cutting rights from NZ Forest service to Tasman Forestry and other corporate investors, along with the advent of heavily mechanised harvesting methods in the 1980’s saw local employment opportunities all but disappear from the town. Villager numbers dwindled to a now 400 permanent residents and many forestry houses have become derelict, all but one shop remains at the local town centre. 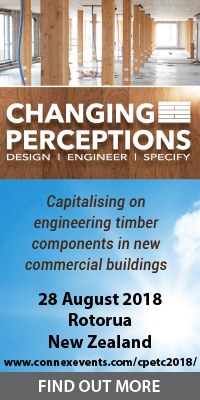 However, in recent years there has been a resurgence in the local community’s fortunes with the establishment of timber remanufacturing operation, KLC back in 1997. Founded by Managing Director Kevin Lewis the plant was created on what had many years earlier been the NZ Forest Headquarters mobile plant workshop site. Old rundown buildings on the vacant site (adjacent to the town) have since been built over, or integrated into a state of the art remanufacturing facility, now employing 100 people. Most employees are locals from Kaingaroa or nearby Murupara, another small forestry town equally affected by the changes to the forest industry back in the 80’s. KLC have become specialists in the manufacture of value added radiata construction materials for domestic and export markets (in particular weatherboard claddings and fence systems) all treated to either H3.2 or H4 levels using MicroPro treatment technology. According to an article in a local paper this week from Martin Williams, a barrister specialising in local government and resource management law, the June floods that swept a "tsunami" of slash into Tolaga Bay have forced a reset of our views on commercial forestry practices. More realistic in my view as the so-called "wall of wood" reaches maturity, would be integration of native species with more rapidly growing exotics for the next forestry cycle, matching tree species to the land resource as Ewan McGregor proposed in his opinion piece last November. More >>. Another Scottish joke. Keep sending them in - we're on a roll here. A Scottish Soldier, in full dress uniform, marches into a pharmacy. Very carefully he opens his sporran and pulls out a neatly folded cotton bandana, unfolds it to reveal a smaller silk square handkerchief, which he also unfolds - to reveal a condom. The condom has a number of patches on it. The chemist holds it up and eyes it critically. "How much to repair it?" the Scot asks the chemist. "Six pence" says the chemist. "How much for a new one?”. "Ten pence" says the chemist. The Scot painstakingly folds the condom into the silk square handkerchief and the cotton bandana, replaces it carefully in his sporran, and marches out of the door, shoulders back and kilt swinging. A moment or two later the chemist hears a great shout go up outside, followed by an even greater shout. The Scottish soldier marches back into the chemist’s and addresses the proprietor, this time with a grin on his face. "The regiment has taken a vote," he says. "We'll have a new one."